but it differs with an absolutely beautiful, warm honey note. 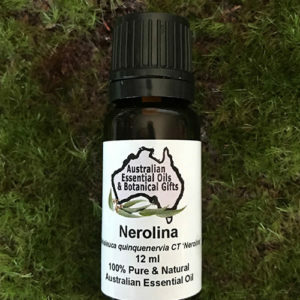 For many people this oil is superior to Lemon Myrtle. 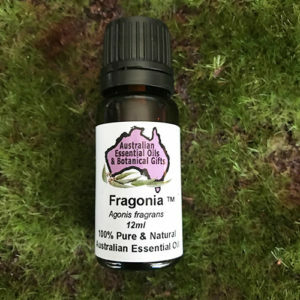 It is great in a diffuser and in body products, it is uplifting, fresh and wonderful. 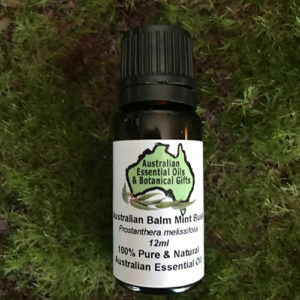 Clear and focus the mind, assist concentration, uplifting, relaxing, calming, relief for mental stress, relief for high pressure workers, students, switching off from pressure situations, anti-depressive, soothes hypertension, aids happiness, removes bad room smells, calms upset children. In an oil burner, vaporiser, air freshener, potpourri, massage oil, bath, soaps, creams and add to perfumes. Add to your own skin care products for a lovely lemon aroma. 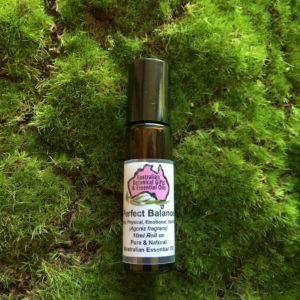 5 drops per 100 ml of carrier oil or 1 drop to 20ml. 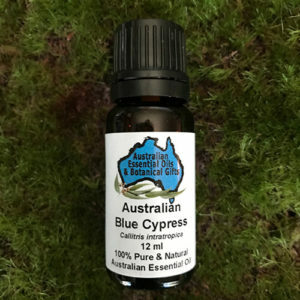 Try blending with Blue Cypress, Emerald Cypress, Eucalyptus varieties, Nerolina, Niaouli, Rosalina, Sandalwood or Tea Tree. Analgesic, Anti-bacterial, Anti-convulsant, Anti-depressant, Anti-fungal, Anti-inflammatory, Anti-spasmodic, Anti-viral, Calming, CNS tonic, Hypotensive, Insect repellent, Sedative, Tonic. Contains upto 70% citral, containing: geranial, neral, cis citral, (Lemongrass 30-70% Citrals, Lemon Verbena 40%, Lemon Balm 70%). Citral has been shown to be anti-microbial, particularly anti fungal, anti-viral, sedative. 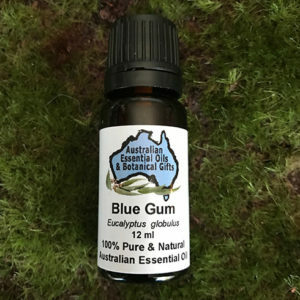 University of Western Australia: Demonstrated and published that Honey Myrtle essential oil was anti-infectious, it was shown effective in concentrations of 0.25% against Candida albicans, Staphylococcus aureus, Escherichia coli (E. coli). USA and Thailand: Research is being done on different strains of MRSA, (Methicillin-resistant Staphylococcus aureus), results are yet to be published. Swinburne University: In 2012, Swinburne University began basic research into Honey Myrtle essential oil for its medicinal properties. 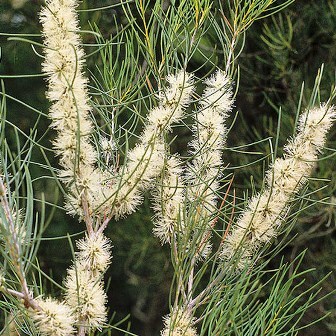 Honey myrtle also enhances the health of the mind, psyche and spirit. It is a wonderful option for anyone suffering from depression and anxiety, as well as for those who have difficulty concentrating. Because of its ability to improve focus and diffuse stress, it is a marvellous option for students who are under the intense pressure of taking final exams. Awesome to use in our diffuser. 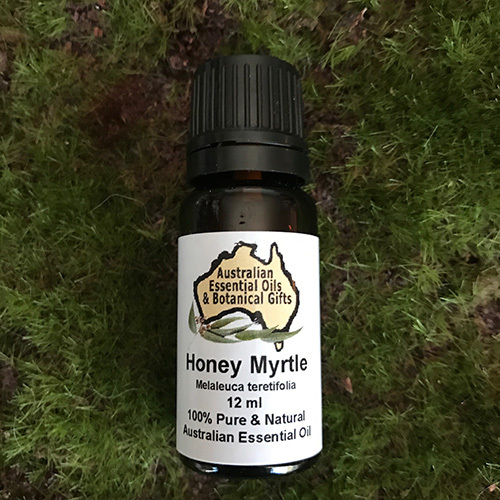 Honey myrtle essential oil helps to dissipate intense emotions after a high-stress situation, easing the spirit back into the eternal moment of now.